If you’re getting divorced (or thinking about getting divorced) you may be wondering how much you can expect to pay (or receive) in child support payments. Unlike alimony, which is based on a percentage of each spouse’s income, child support is calculated based on the estimated costs of caring for and raising a child. 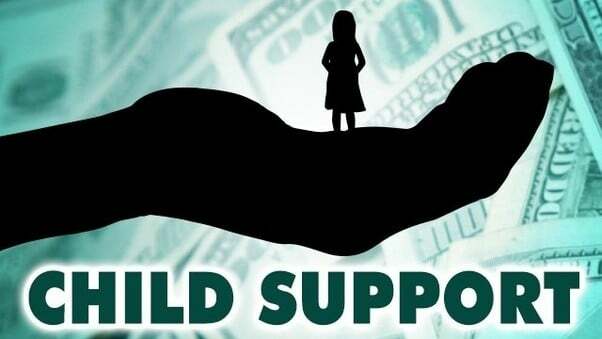 While the amount of child support an ex-spouse is made to pay will vary depending on the divorce agreement, in most cases, child support payments are just meant to cover the basics: food, clothing, housing, and the essential needs of the children. Things like toys, school books, sports, and school supplies are not normally “covered” by child support payments, so the parent with the most parenting time needs to keep that in mind when budgeting their income (including child support) against their expenses. The Court can, however, enter orders for child support that address these costs outside of the “basic child support obligation” that is calculated per the statute. See below. The parent paying for support may also be required to get health insurance for the child through their employer, if their employer offers it, regardless of whether they’re buying health insurance for themselves through their employer. If their employer does not offer it, the parent with the most parenting time may enroll the child in their employer’s healthcare program. Once the cost of insurance is determined, the new child support guidelines will normally divide this cost of the child’s premium between the parents. Depending on your unique situation, the court may order the parent who is paying child support to pay for additional expenses, including those related to education for the child, childcare, or any medical or dental costs that are not covered by insurance. It can also include expenses related to extracurricular activities, such as music lessons and sports, as long as those expenses are deemed reasonable and are intended for the wellbeing of the child, their education, and/or their social, cultural, or athletic development. This is important to remember, especially if your children are in private school and/or are planning on attending college. The price for higher education continues to climb, so it’s common for both parents to chip in to pay those bills. The court may or may not include a supplemental order for the parent with minority parenting time to cover those costs, but either way it’s a good idea for the parents to work out between themselves who will cover how much of those costs. Not only does it make things easier on their post-marriage relationship, but it also makes things easier on the child by ensuring they can focus on what’s really important: getting a good education. There are many factors included in divorce, especially when children are involved. Ideally, you and your ex can work together to come up with an agreement, but if that’s not possible, at least know your rights so you have some idea of what to expect. The attorneys at Sherer Law Offices have been providing legal representation for real estate cases, criminal cases, and all types of family law for more than 25 years. Our experienced divorce attorneys will take the time to really listen to your unique situation so that they can plan strategies that can best protect your best interests.